Natasha Monkman is a pension and benefits lawyer in Hicks Morley’s Toronto office. She regularly advises both public and private sector employers on governance, plan administration, investment and compliance matters relating to their employee benefit plans and pension plans. Natasha has advised multiple clients on asset and liability transfers and issues relating to derisking initiatives, including annuity purchases. More recently, Natasha has assisted clients with respect to the strategy, negotiation and implementation of complex plan design changes, including single employer to jointly sponsored pension plan mergers and conversions. She has also advised employers and plan administrators regarding mergers and acquisitions and funding issues, including in the context of insolvency proceedings. Natasha routinely assists clients with and has defended claims regarding benefit entitlements, including upon marriage breakdown and the death of an employee. 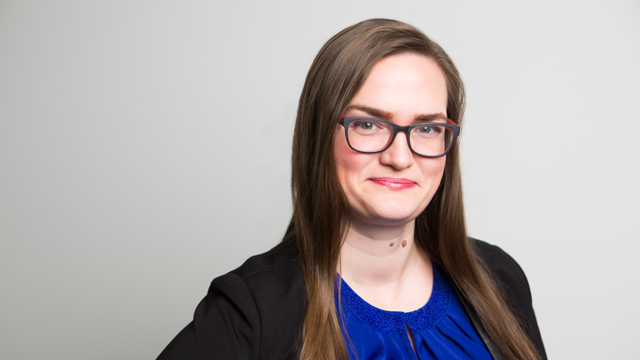 Natasha also regularly advises municipal and school board employers regarding their obligations as participating employers in large public sector pension plans and has represented participating employers in related grievance arbitrations. Advised and represented a single employer pension plan sponsor and administrator in the negotiation of a merger of its plans with a large jointly sponsored pension plan. Advised and represented a broader public sector employer in the negotiation and implementation of a jointly sponsored pension plan conversion. Advised and represented a large newspaper publisher in multiple corporate transactions involving the acquisition and/or divestiture of employee benefit plans and pension or retirement plans, and the resulting asset and liability transfers.